A woman is dead and a man is in hospital with serious injuries following a home invasion in northeast Edmonton, police say. A woman is dead and a man is in hospital with serious injuries following a home invasion in northeast Edmonton on Friday, police say. Just before 9 p.m., police were called to a report of gunshots being fired at a home near 119th Avenue and 61st Street. When they arrived at the home, the complainants, a 59-year-old woman and a 56-year-old man, were found injured inside. The suspects had fled the residence by the time officers arrived, the Edmonton Police Service said in a news release. Paramedics took the woman and man to hospital. The woman, Barbara Nelson, died later Friday night, and the man remains in serious condition. Police believe the incident was targeted, and said they released the woman's name because it serves an investigative purpose. Homicide detectives are now investigating. There is no description of the suspects or a vehicle at this time. An autopsy has been scheduled for Monday morning. 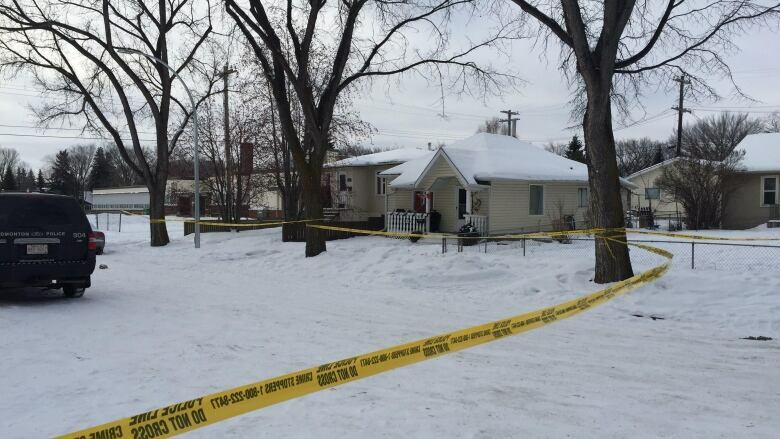 Anyone with information about the home invasion is asked to contact the Edmonton Police Service.